Join us for a joyful Shabbat evening of tefillah, beginning with Mincha at 5:30 p.m. Following services, we'll enjoy a delicious catered meal and welcome our special guest speakers from the West Bank, Rabbi Hanan Schlesinger and Shadi Abu Awwad of Roots-Judur-Shorashim. Roots is a unique collaboration of local Palestinians and Israelis building a grassroots model for coexistence in the Gush Etzion-Hebron area of the West Bank. The group works to nurture understanding and non-violence between Palestinians and Israelis and to advance towards a new social and political reality founded upon dignity, trust, and mutual recognition of both peoples to the land. Child care will be available between 6:30 - 9:30 p.m. on the lower level. Come back to Shaare Zedek on Saturday, March 10th for a d'var Torah with Rav Hanan during morning services, an opportunity to meet our visitors over a catered kiddush lunch, and a text study during seudah shlishit on Hasidic Texts of Passionate Pluralism, giving a theological basis to Roots' work that acknowledges both Jewish and Palestinian narratives. Shadi Abu Awwad is a 27-year-old resident of Beit Ummar and is one of the leaders of the youth group at Roots. He also works as a building contractor. He was born into a family that took a major leadership role in the First Intifadi - Palestinian Uprising, and as a young child was instilled with the same hate of Israelis and the same deep Palestinian patriotism and activism that coursed through the veins of the entire family. He was still a child when the family underwent a major transformation and became leaders of the Palestinian movement for reconciliation with Israel, and Shadi grew up with the hope and the determination that peace is possible, but we have to struggle mightily to achieve it. Hanan Schlesinger is an Orthodox rabbi, teacher, and passionate Zionist settler who has been profoundly transformed by his friendship with Palestinians. Originally hailing from New York, Rav Hanan made aliya on his own at the age of 20 and has lived over the green line, in Alon Shvut, Gush Etzion, for over 30 years. He became involved in interfaith work about nine years ago in Dallas, founding Faiths in Conversation, a framework for Jewish-Christian-Muslim theological dialogue. The mind-expanding experience of these trialogues inspired him to attempt to meet Muslims and Christians back in the Holy Land. 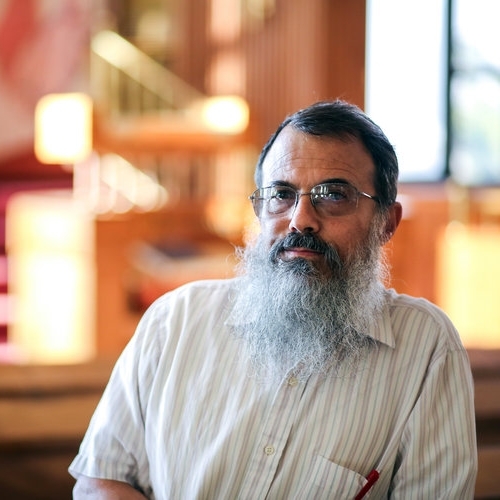 Although always drawn to pluralism and deeply empathetic for the other, and sporadically involved in the religious peach movement over the course of the past three decades, Rav Hanan had never formed a personal relationship with a Palestinian until he returned to Gush Etzion three and a half years ago. The meetings have been far more meaningful than he could have ever imagined. Online registration is now closed. Please contact Jessie at the office (212-874-7005) for limited additional tickets.